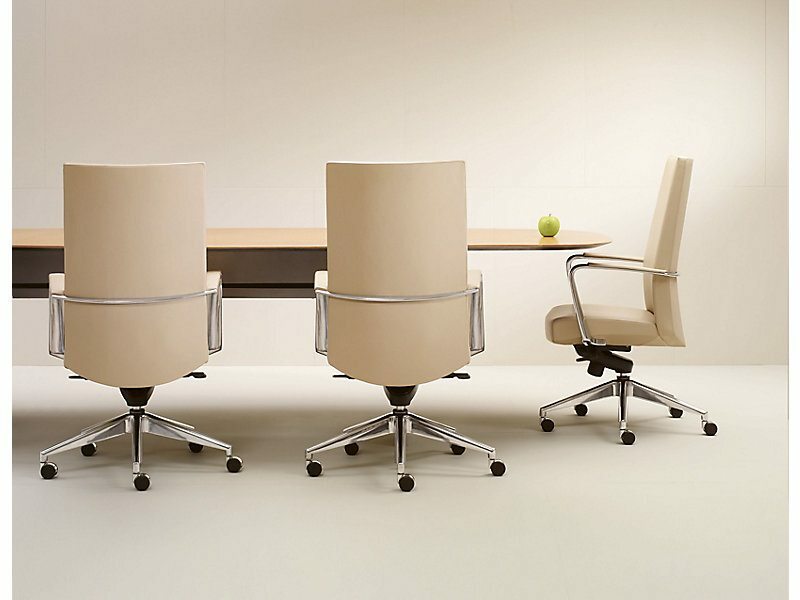 Influenced by classic modern European design, HBF introduces the Cadre Series of management and executive seating. Designed by HBFs Kevin Stark, this innovative series features polished aluminum arms, a sleek, thin profile and two control options. Conferencing and collaboration are playing ever larger roles in the daily agenda of todays office, hence requiring an elegant chair that can bring the cadre series contemporary comfort to the table and be equally at home behind the desk. $2,105 Manufacturer: HBF Lead Time: 6	- 8	weeks Size: OH 41.5" OW 24" OD 26.5"